Some times me and Sahil go crazy while shopping for groceries. We have umpteen menus playing on our minds and we end up buying produce that does not get used at all. We love to stuff our refrigerator with all kinds of cheese, fresh herbs, veggies, sauces, preserves, fruits and proteins. Opening the refrigerator and looking at the loot lovingly while deciding what to cook is my stress buster at the end of a tiring work day. Last week we both shopped separately for groceries and ended up having kilos of red onions. 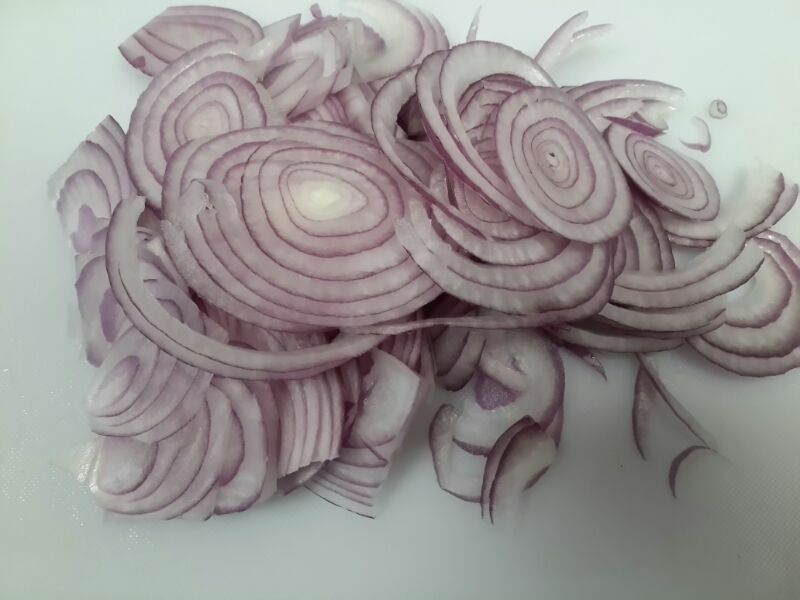 Now what does one do when you have a sudden abundance of red onions! I say try this recipe which was inspired from BBC Good Food website I read sometime back. Somehow I am not able to find the link anymore on the website. This recipe was tried after we had our fill of Onion Bhajjis and Pakora Kadhi twice in the same week. 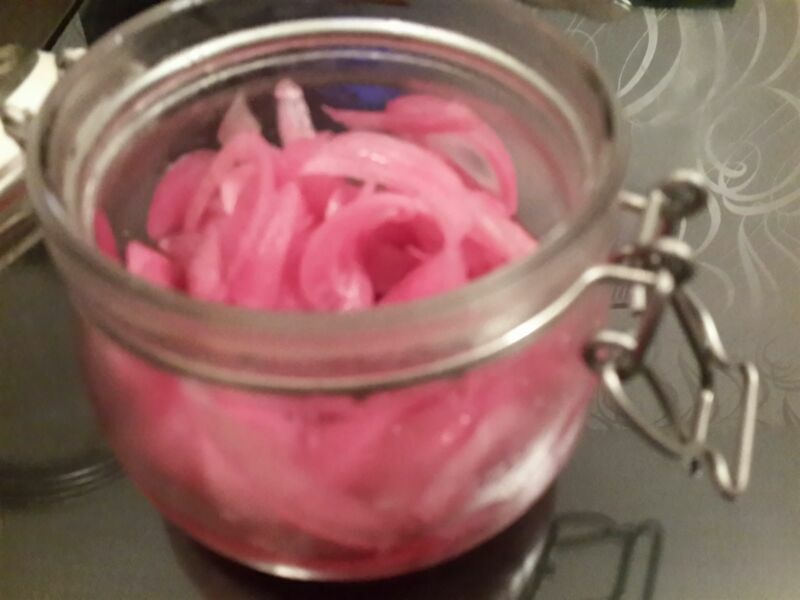 I serve these pickled onions with Rajma Chawal, Parathas or Chole Kulche. Par Blanch onions, I just soaked the onions in warm water for a few minutes. Don’t overdo at this step since you don’t want the crunchiness of onions to go away. 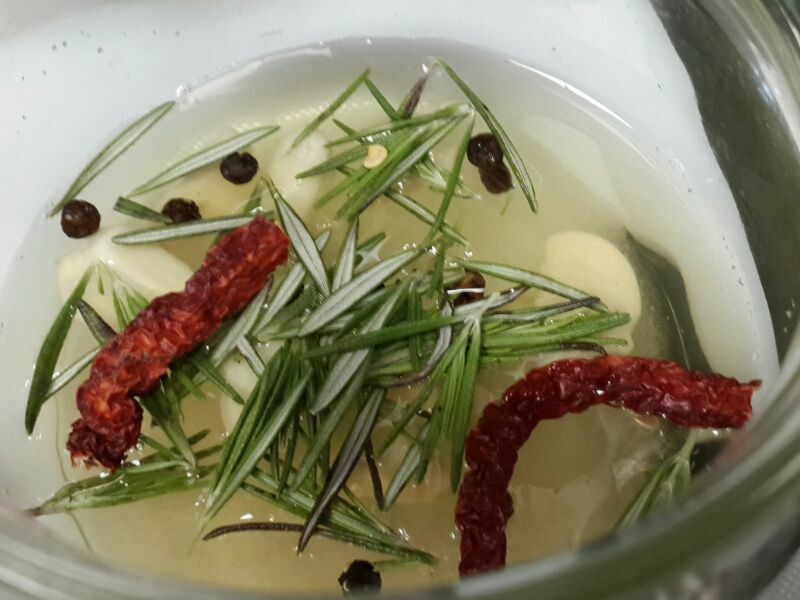 In a sterilized mason jar or pickle jar, add vinegar, salt, sugar, garlic cloves, peppercorns, rosemary and red chilli. Give it a good mix with a spoon and add onions to the mixture. Close the lid of the airtight container and refrigerate for at least 24 hours. This stays well for a long time if refrigerated. The onions will have a beautiful pink hue after a day or two and is ready to be enjoyed!